This National monument dates from the 1940s when 800 redwoods were planted for their fast growth yet were never cut as had been planned. 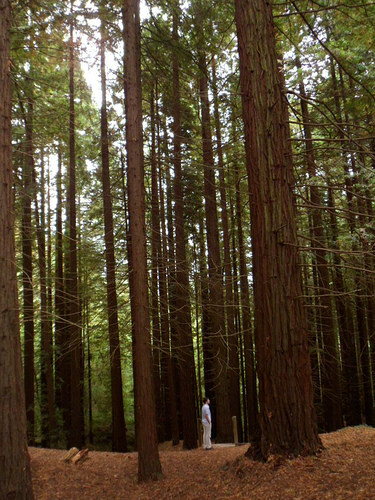 Today, many of the trees soar up to 36m in height. It’s not a long walk but it is a unique one. You’ll find the forest near Cabezon de la Sal. Combine it with a visit to nearby Santillana or Comillas which are a few minutes drive from here. You already know how fond we are of the Costa de Cantabria wineries. Autumn is a very busy time for them and when the grapes have been harvested we love to visit Bodegas Vidular to see how the harvest has been. The winery is operating full tilt and it’s one of the most interesting times to pop in. The scenery as you drive up to their winery is truly spectacular – have the camera at the ready – it’s one of the most charming drives in the area. If you’d rather have your hands free to enjoy it, the winery organises collections and drop-offs which makes the tasting that little bit more interesting also. If you’re travelling with a group, pre-book lunch and enjoy the views (for that little bit longer) as well as the wines. You can see our blogpost of our wine tasting and lunch here. Everybody has their own favourite place to pick their blackberries. Because we love spending time in Lierganes we often head out for an afternoon walk first above San Roque de Riomiera and collect our baskets or jam jars full of fruit deliciousness – then comes back down to Lierganes for its famous chocolate and churros. Head home and its time to start planning recipes. It’s probably pancakes with berries, blackberry crumble and whatever else gets us inspired. 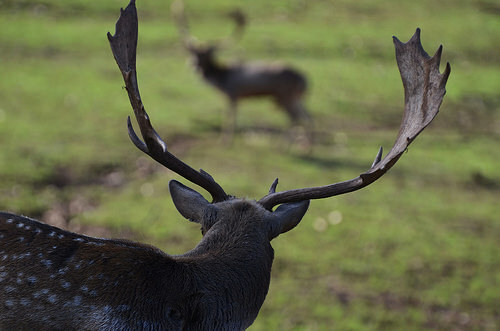 We aren’t usually ones to line up for a fight but we’re talking about the tussles between the male deers for female attention here. It’s not just the sight, it’s the sound of their horns locked and unlocked. The call is something so primal. See a video of a group experiencing the berrea here. You can of course walk through the National Park of Saja-Nansa although we’d always recommend a private guide. After our walk we love to visit Barcena Mayor and enjoy a hearty game stew and yes, collect more berries in the nearby country lanes. 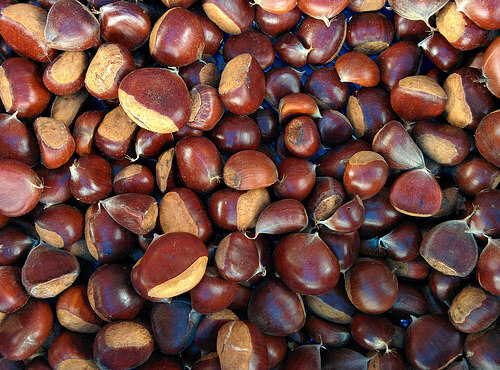 And chestnuts. Lots of them. Follow the other walkers and you’ll find great hedgerows – we promise. BTW If you want to appreciate the elevation of the park, go the to viewing point at Mirador de la Cardosa. We’ve all heard about the Camino and some of us have even walked stretches of it. But this Camino is one of those lesser-known routes that’s well worth investigating. You start on the coastline along the Camino del Norte and dip inland from San Vicente to commence the Camino Lebaniego. We love the views from San Vicente de la Barquera on the coast – where you can see the snow capped mountain peaks of the Picos de Europa – and these are the views that will accompany you as you walk the route. If you choose to drive the Lebaniego Way to Santo Toribio you’ll go via the Desfiladero de la Hermida Gorge which is a sight in itself. Stop at Potes market town (and yes, it does have a great farmers market on Mondays). Drive up to the Santo Toribio monastery – we like to pick up a few things at the market and plan a picnic near there. If you like rafting or off road driving you can give it a go here near Potes, but we tend to stick to the many great walking routes and reward ourselves with an overnight at Hotel del Oso. If you fancy something a bit more off the beaten track, the Hotel Aliva is usually open until the end of October but please check for details before heading out. Perfect for a family reunion or a get together with friends, you reach the Hotel by the funicular at Fuente De or by arranging a jeep transfer in advance from Espinama. On your way back after Potes, check out the village of Pendes where you won’t be surprised to learn that a Heidi movie was filmed! If you’d like to know more about the different Caminos to be driven, check out our blogpost here. 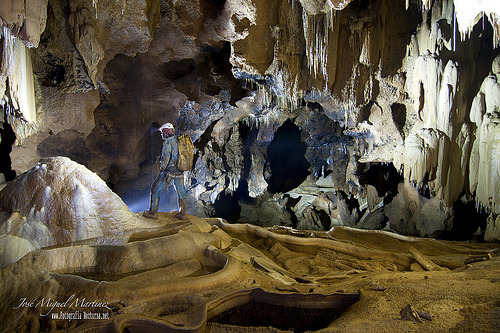 Cantabria’s caves are astonishing at any time of year – and are particularly handy if you are avoiding the sun or the drizzle. We’ve written about the many caves that are open to the public in the area – where you’ll see that we love Castillo and La Moneda which are side by side just above Puente Viesgo. After you’ve visited both, go back down into Puente Viesgo and enjoy lunch or a drink at the garden terrace of Puente Viesgo’s Spa. 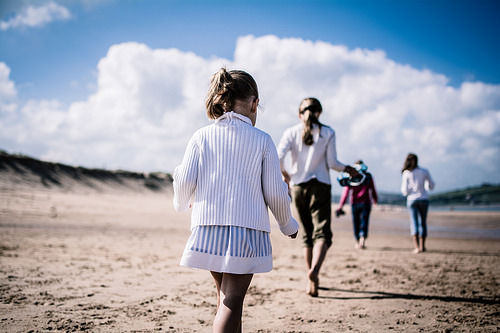 There are a crazy number of stunning beaches in Cantabria that merit an Autumn walk – but we can’t help noticing that more and more enquiries are mentioning Liencres beach. We love it and the nearby pine forests which offer great shade on a hot day. If you are in the mood for a walk, park at the forest and walk inside the wooded area to the beach. You’ll probably find a few surfers when you reach the coast as this beach is hugely popular for watersports. But this is a really long strand and there’s plenty room for everybody. Have your camera to the ready here as the cliffs in the distance are truly stunning. You’ll find a few cafes and bars in the area to watch the sunset nearby but we’re very partial to the new French-run Avril en la Ria café inside the Abra del Pas golf course – perfect for watching the sunset on a sunny evening. We also like to drive into Santander and enjoy a drink at the café by the lighthouse as the sun sets over Liencres in the distance. As we said before, there’s still lots of reasons to party after the Summer draws to a close. September is a big month for celebrations. 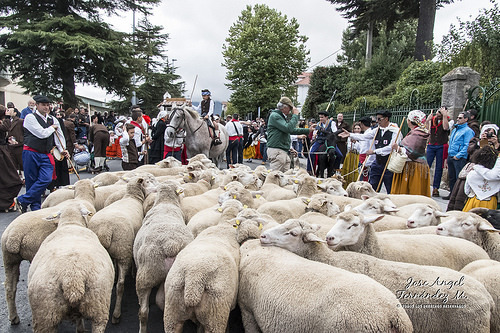 Ampuero in Eastern Cantabria has three large festivals. San Miguel is celebrated at the end of September in a number of locations include Puente Viesgo and Puente San Miguel where you’ll find ‘ollas ferroviarias’ – which are large fire-powered cooking vessels used by railway workers that are still popular today. Reinosa celebrates its ‘Dia del Campoo’ in September when everybody dresses up in traditional costume. And the last disembarkment of Carlos V in Laredo is another big event in September, marking the monarch’s landing here in 1556 before he retired to Yuste in Extremadura. Expect lots of Renaissance pomp and ceremony on the beach. The unusual breed of Tudanca cattle are the focus of attention in Ruente at the end of October. Halloween or Samhain is marked through the region also. And the vendimia or harvest is celebrated in Potes in October. 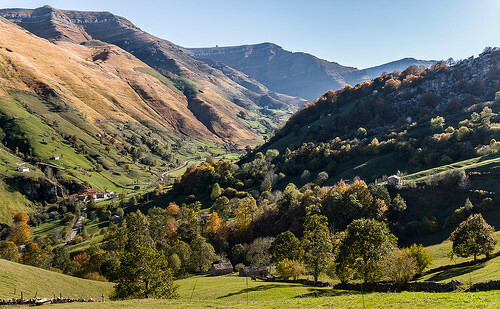 The Orujo festival comes to Potes in the first half of November. Cabezon de la Sal celebrates the harvest in the ‘Feria de la Alubia y la Hortaliza’ in November when you’ll find agricultural demos plus the obligatory massive mountain stew. San Andres is celebrated by fishing communities on the 30 November and it’s a big deal in Castro Urdiales. Don’t miss it if you are in the area. As much as we love summery salads and the wonderful Northern tuna and sardines on the BBQ, by the time September comes around we are more than ready to embrace Autumn staples such as the boletus mushrooms, roasted chestnuts, rich game stews, tasty pulse casseroles, and of course, berries for dessert. You’ll find whatever is seasonal in the food and farmers markets throughout the region. And of course, the festivals we just highlighted will also showcase the regional dishes that are seasonal too. 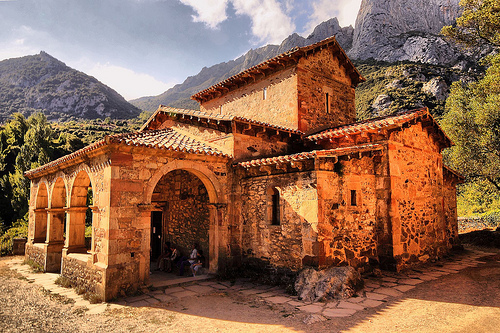 Even if you’ve been to Cantabria a few times, we always encourage re-visiting some of the major sights. Take for example the city of Santander – perhaps last time you were here, the Centro Botin wasn’t there. While Comillas doesn’t seem to change, you will find the Capricho de Gaudi is now a museum which you can explore. 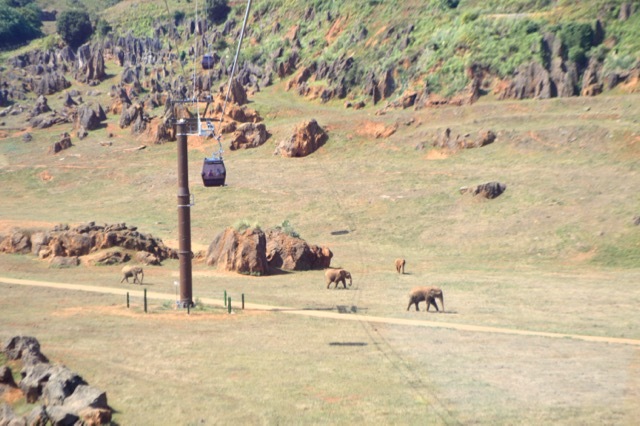 You may have been to Cabarceno Natural Park with the family but you probably haven’t taken the cable car that soars above the elephants, giraffes and hippos, have you? 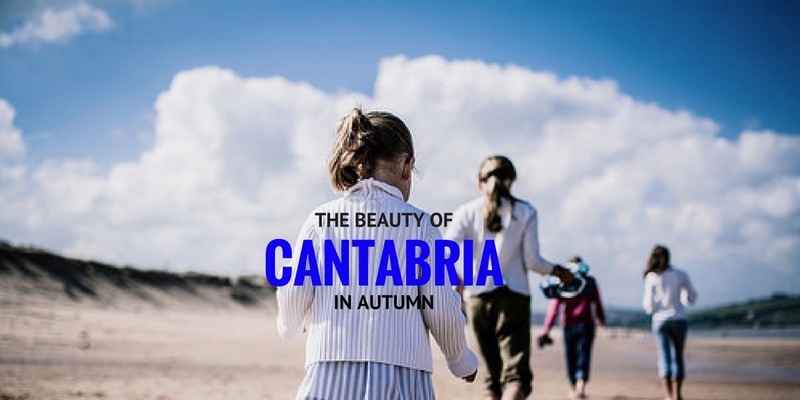 If you aren’t travelling in Autumntime, check out our Guide to Cantabria in the Summer Holidays and our write-up of a Wintertime Trip to the Picos de Europa. 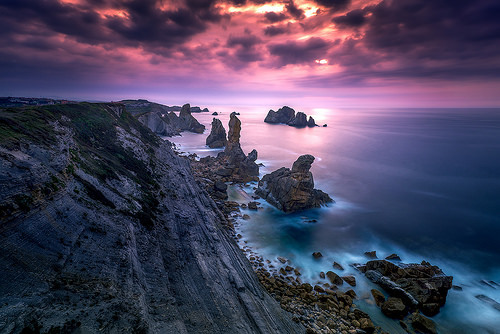 You should also have a look at the 21 Images that Define Cantabria. Posted in Active breaks, Beaches, Camino de Santiago, Cantabria, Caves, Family Breaks, Festivals, Food & Drink, Green Spain, National Parks, Wineries and tagged Abra del Pas, Barcena Mayor, Camino Lebaniego, Castillo, chestnuts, Comillas, Costa de Cantabria, Desfiladero de la Hermida, Fuente De, harvest, Hotel Aliva, Hotel del Oso, La Moneda, Liencres, Lierganes, Orujo, Picos de Europa, Potes, Saja-Nansa, San Vicente de la Barquera, Sardinero, sequoia, vidular.